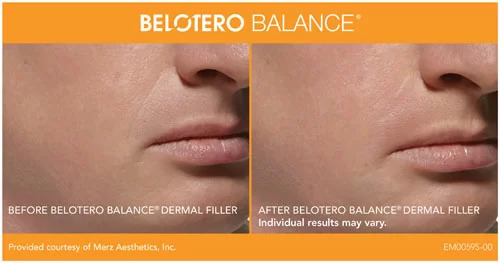 While BELOTERO BALANCE® Dermal Filler is made of the same material (HA) as some other dermal fillers, BELOTERO BALANCE® Dermal filler has unique properties that allow it to adapt within the skin for soft and even correction. The versatility of the product makes it strong enough to handle deep treatment areas such as nasolabial folds (smile lines around the mouth) as well as more delicate areas such as vertical lip lines (thin lines that appear above the lip line). BELOTERO BALANCE® Dermal Filler is injected into the skin using a very fine needle, filling in your wrinkles right before your very eyes. 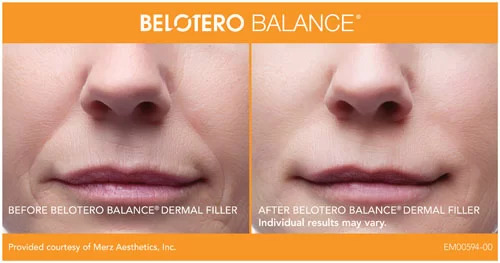 BELOTERO BALANCE® Dermal Filler works immediately to fill in your wrinkles and folds so you’ll leave your healthcare provider’s office knowing BELOTERO BALANCE® Dermal Filler is working for you. Not only are results with BELOTERO BALANCE® Dermal Filler instant, they are proven to last. In a clinical study, many patients saw results that lasted about six months or more. *BELOTERO BALANCE® Dermal Filler is indicated for the treatment of moderate to severe facial wrinkles and folds, such as nasolabial folds. 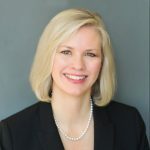 *The safety of effectiveness of BELOTERO BALANCE® Dermal Filler for the treatment of dermal contour defects other than nasolabial folds has not been established in controlled clinical studies. The safety and effectiveness of BELOTERO BALANCE® use in the lips has also not been evaluated. Treatment with BELOTERO BALANCE® Dermal Filler is a safe, simple procedure performed in our office at Dermatology Specialists in Edina. 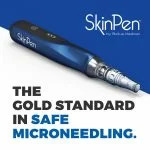 These quick treatments, which consist of injections with a fine needle, are often complete in just 30 minutes. After injection into the skin, BELOTERO BALANCE® Dermal Filler instantly plumps the skin and smoothes facial wrinkles. 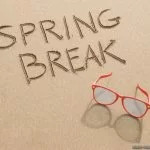 With little or no downtime needed, you’ll likely leave our office and go right back to your regular routine – looking naturally more youthful and refreshed. For soft results that last, BELOTERO BALANCE® Dermal Filler is the natural choice.